Today I'm steeping a toasty Tie Guan Yin from Radiance. 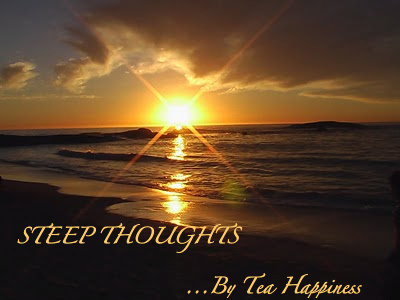 Today's Steep Thoughts are reflections on the times I desperately need of a cup of tea. Yes, I drink tea all day long, but there are moments when it is crucial. Below are some recent examples, along with the tea I wish I had been drinking. ...Dealing with the preschool options in Brooklyn. (a Darjeeling that helps me pretend that I'm somewhere far away). There are of course many, many more situations. When are you most in need of a cup of tea? What do you reach for?